Newnham Infant and Nursery School, Hillingdon has achieved the Inclusive School Award. Newnham Infant and Nursery School is an oversubscribed three form entry Infant and Nursery School with 340 pupils on roll. All pupils are treated according to their individual needs. EAL is above the National Average, Pupil Premium and SEN is lower than the National Average. The school motto “We are all special and we can all learn from one another. Every day is special” is constant throughout the school due to the structures and processes that have been put in place as well as the dedication of the Head, SLT, Teaching and Support Staff, Pupils, Parents/Carers and Governors to achieve this statement. The Golden Rules prevail through every aspect of school life interlinking with the theme that everyone is ‘Special’. The Golden Rules are supported by the 6Rs ‘Respect, Responsibility, Resourcefulness, Resilience, Reasoning and Reflection’. The pupils are all encouraged to take ownership of their choices and the school is working hard to introduce the new initiative of becoming a ‘Thinking School’ with a ‘Growth Mindset’. As soon as you enter the school the ‘Learning Journey’ begins with outstanding displays of pupils’ work. Classes are named after animals such as ‘Busy Badgers’! The displays cover topic work completed by all year groups including themes such as Castles, Transport, Mini-Beasts, Fairy Tales and Aboriginal Art work were outstanding. Further Art Work displays including Butterflies by Reception (learning about colour blending), Year 1 (using watercolours) and Year 2 (the marbling effect of paint) were outstanding too. In the entrance there was a wonderful display showing a medieval castle with a range of activities by Year 1 pupils. This included candle making, weaving, the use of colour dye to make paints, as well as different foods. The pupils re-enacted life in the medieval castle and dressed accordingly. This display related to the topic on castles. In addition to the above, the displays celebrated other aspects of Learning including the displays in the Dining Hall to encourage Healthy Eating and the understanding of the physical impact of the different types of food on our physical well-being and function of our brain. The achievements of the pupils was a joy to see. The Literacy work including ‘Star Writers’ was of a very high standard as well as the Numeracy displays. The staff encouraged the pupils to enter competitions outside school with the results being displayed including ‘Hillingdon in Bloom’ where the school came third in the best Flower Bed and first in the best decorated Wellie. The pupils also entered the ‘Hillingdon Book Competition’ and achieved Gold medals. This was made up of six pupils of varying ability. Within the classrooms, the displays and organisation were of an equally high standard including ‘Thinking Boards’ ‘Tricky Words’ Maths and English Working walls and Reading Corners, Golden Rules and individual Class Rules chosen by the pupils and the staff to reflect the Golden Rules. This gave pupils ownership of their classroom and a ‘vehicle’ to think for themselves about the meaning of the Golden Rules. Learning Journey displays showed progression. Some classrooms had displays regarding ‘Growth Mindset’ which is a theme developing in the school. The outside learning areas were well thought out. For example, in Reception, there was a definite ‘Drama area with a Theatre, an area for growing and a physical area’ to encourage free flow time. All the pupils were engaged and motivated to learn. The outdoor learning area for the Nursery was spacious and inviting with an abundance of trees including an Indian Bean tree. During the tour, the pupils were engaging in different learning activities including focussed tasks and independent choices. The teaching staff ensured that pupils were challenged and took the next steps in their learning to achieve the best possible outcomes in every aspect of school life. The Head has high aspirations for all the pupils and staff. She is not complacent in her approach to continued school development. The KS 1 results are consistently above the National Average as well as a large majority of pupils in the EYFS who achieved their Early Learning Goals. The school is consistently above the National Average for pupils achieving GLD at the end of EYFS. The Head and the SLT are determined to further diminish the gap between PP and other pupils. To this end, along with SEN pupils, staff swiftly identify pupils for both extra support and challenge. Interventions are put in place. The impact is measured by the Inclusion Manager in discussion with the member of staff delivering the intervention with the support of external agencies such as SALT when needed. When the pupils were interviewed in a group session, they were honest and open. They shared their experiences of school life and stated that there was always someone to talk to. If there was any bullying, it was dealt with immediately. They were very keen to share their roles as members of the School Council and how they were elected. Pupils spoke highly of the school. They all felt that learning was fun including Maths and English as well as topic work such as Africa and Australia. They felt that staff supported them to make progress in their learning. 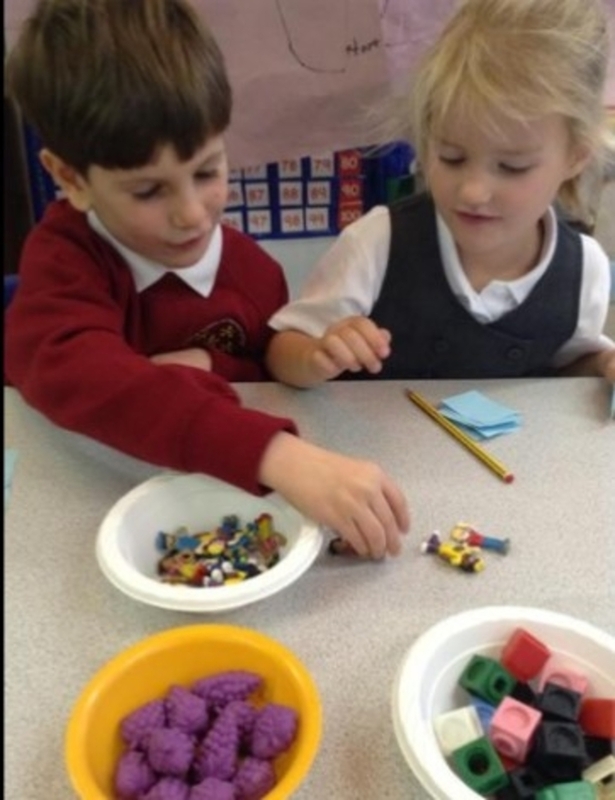 They understood ‘Ladybird Learning Intention’ and ‘Success Sunflower’ and liked the extension challenges set for them. They all liked the reward system for good work or deeds where they received raffle tickets for prizes and Golden Time on Fridays where they could choose what they wanted to do. Each class had a slightly different structure which they liked in terms of achieving raffle tickets. They were proud that they raised money for events such as Sports Relief and had written letters to the local council regarding the cars in the High Street and had made posters to reduce the speed of the cars. They stated that there were lots of clubs including Sports, Chess, Skipping, Science, Gym, Street Dance, Bollywood Dance and Choir as well as others that helped them with their learning. They enjoyed the school day and trips that supported the current Topics in the classroom. Subject Leaders ensure that English, Maths and Science is constantly tracked with necessary interventions put in place. If Leaders feel the impact is not great enough towards progress they will quickly re-evaluate. They are determined to improve progress and attainment from the pupils’ baselines. For example, there has been a drive on improving Reading and Writing for boys and Maths across the school and monitoring the progress to ensure interventions have an impact. Action Plans were in place that ‘feed’ into the School Development Plan. Resources and interventions include Morning Clubs for Phonics and Writing, 1:1 interventions throughout the day including sessions for Speech and Language as well as Social Groups for the EAL and shy pupils which are all tracked and monitored. CPD is encouraged for all the staff. The staff felt that time was given for new initiatives and opportunities to liaise and moderate with schools within their Cluster as well as in the Borough. These activities support the staff to understand Assessment Criteria and to have high expectations for all pupils irrespective of baselines. The staff felt that the school was a very supportive environment. All staff showed a sense of passion and purpose. There was a feeling of collaboration and teamwork. Parents were very supportive of the school. They felt that they were kept fully informed of all aspects of school life. They felt welcomed at the school and that ‘nothing was too much trouble’. ‘It is an ‘open door policy’. Any Behavioural or Learning issues ‘are always sorted out’. They felt listened to and felt that they were kept informed about their child’s progress and that interventions were always put in place to support any behaviour and learning needs. They spoke of ‘flawless’ and ‘seamless’ transitions for their children both between classes and when transitioning to the Junior School. Homework was tailored to meet the needs of the children with ‘Learning Bags’ in the Nursery where they could choose a game, in other Years the Homework blended itself to the topic work to include Maths and English. The pupils were encouraged to choose a book from the library as well as their official Guided Reading Book for Home Reading. Parents spoke of the interventions such as ‘Funky Fingers’ and ‘Dough Disco’ to support fine motor skills development. Parents felt they were very supported with the EHCP process if it applied to their child. They also said that they were invited into the classroom to observe as well as attend class and celebration assemblies. The Parent Association (FONISA) plays an active role in raising funds for the school. It supported such initiatives as the Eco Silver Award and the development of the School Grounds as well as learning resources. The Summer Fete (and Christmas Fete) are run by FONISA. The parents spoke of the organisation of the Fete including each Year group making items to sell in relation to the theme ‘Under the Sea’ including ‘Tie Dye Jelly Fish’, ‘Footprints in the Sand’ and Key Rings as well as the School Choir performing. The Governors were supportive of the Head and the school. They spoke of the initiatives within the school and their involvement in seeing their role as driving the school to continual improvement. The Governors knew the school well and the Inclusion Agenda. The Governors spoken to included newly appointed as well as more experienced Governors including the Inclusion Governor, Vice and Chair. The school has strengthened its links with the community. The local Vicar comes into school to lead assemblies and to take part in school events. The local community attend the Fetes. The school also make Harvest donations to a charity of the school’s choice and the Choir also visit the local elderly people’s Home to sing. The pupils are taken out into the community to enhance their learning experience including seasonal walks, visits to the local Cake Shop, the Library, the local Pantomime, the local Church and War Memorial as well as visits further afield to London Zoo, Paradise Wildlife Park, Odds Farm, The Discovery Look Out Centre, Sikh Temple and the Hare Krishna Temple. Visitors are also encouraged to come into school. There was a wonderful display of Transport by the Nursery children showing different types of transport used by the visitors to the school as well as one of their own members of staff in different types of transport! Another display of pupils’ work transpired from the visit to the school of the local Fire Brigade. Further afield, the school look to wider events such as sending Birthday cards to the Queen for her 90th and Jubilee as well as celebrating the recent Royal Wedding with school street parties. Parents and grandparents visit the school as volunteers as well as giving talks about their profession or when they were young. Newnham Infant and Nursery School is an excellent example of an inclusive school where there is a sense of a continual Learning Journey for all involved. It is a very welcoming school with a true sense that all pupils are special. The Head and Leaders, as well as the staff ,are constantly researching to find new initiatives to develop and enrich the lives of the school community. There is an outstanding caring feel to the school where everyone is truly ‘Special’ and included.